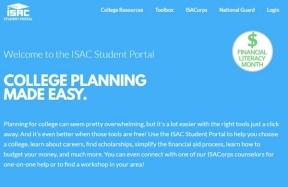 The Illinois Student Assistance Commission (ISAC), the state’s college access and financial aid agency, will receive the Center for Digital Government’s 2016 Digital Government Achievement Award (DGAA) for the ISAC Student Portal, a free online resource designed to help Illinois students with college and financial aid planning. The DGAA awards honor city, county, and state innovative and citizen-centric websites and applications from all levels of government. The ISAC Student Portal won in the Government-to-Citizen State and Federal Government category, with four other winners in the category from Florida, New York, California, and the U.S. Department of Commerce. The web and mobile-optimized ISAC Student Portal has a host of tools to help students and families with college planning, financial aid, student loans and money management, and even careers and job search—all free and just a click away. Through the Portal, students can access ISAC’s partner College Greenlight™, which offers robust college and scholarship search, and ISAC partner SALT Money™, which provides online money lessons, budgeting tools, and resources to help students manage student loan repayment. With Illinois workNet®, also available through the Portal, students can do career research, search for jobs, and build a resume. 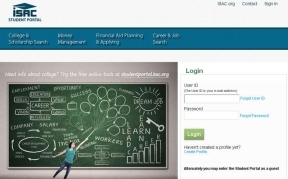 Check out the ISAC Student Portal at isac.org/studentportal.